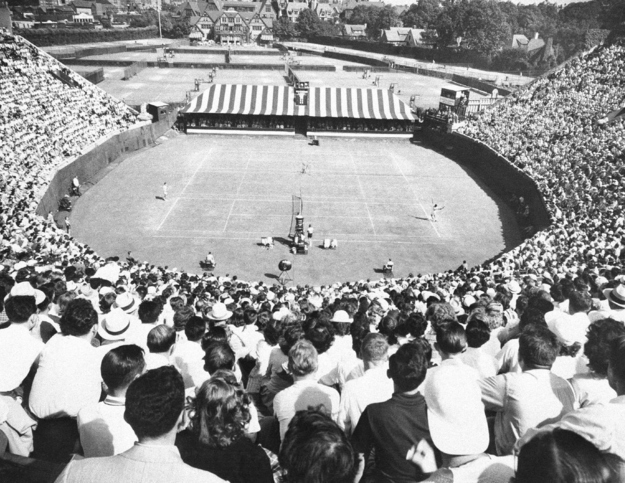 Throwback Thursday "Forest Hills Tennis Stadium"
With this being the second week of the US Open, thought it would be fun to see where it all started. The Forest Hills Tennis Stadium in Queens served as the home to the tournament from 1915 to 1978. It look so intimate and cozy, doesn't it? The new Arthur Ashe Stadium, which was completed in 1997 at a cost of 254 million, and holds 23,771 tennis fans. Oh how times have changed.